WordPress is an excellent piece of software for both hobbyists and professionals. No matter whether you want a casual blog or a powerful e-commerce website, WordPress has something for you. We will focus on the latter category today—the ones earning with WordPress. No, better yet, we will focus on those who want to earn with WordPress. About a quarter of WordPress users use it to make a full-time living. Ideally, you want to be a part of that top 25%. To do that, you first have to monetize your site. There are many ways to do that, including sponsored articles, affiliate marketing, selling products, etc. One of the most popular ways to monetize your site is running ads. Advertisements are simple, take a short amount of time to set up, and don’t require constant effort to maintain. They are the perfect option if you want to easily capitalize on your website’s popularity. The benefit of WordPress is that you can do everything automatically, without meddling with the site’s code. As you can probably guess, there are a plethora of plugins that let you control various aspects of advertisements at a click of a button. If you’re interested, here are our choices for top advertising plugins. WordPress Ad Widget is by far the most straightforward advertising plugin out there. If you’re a complete beginner or if you don’t want to bother with a complex plugin interface, this is the plugin for you. It is the fastest way to add ads to your WordPress site. After you install the plugin, you’ll see a new widget in the widgets tab of your dashboard. It works like any other widget. You can drag it wherever you want an ad to appear. You then insert the ad image and the ad link, and you’re good to go. The ad will show up next time you refresh the page. You also can’t see impressions or clicks with this plugin. It only lets you easily include ads, nothing more. If you want to experiment and see which ads work best, you need one of the following options. AdRotate Banner Manager is a tad more complicated than WordPress Ad Widget, but it is still suitable for beginners. Its design is similar to the WordPress dashboard so it won’t take you long to get the hang of the interface. You can use it to set up mobile ads, use differently sized ads, or even have advertisers change their own ads on your site. It is also compatible with most plugins so you won’t lose on performance. Unlike the previous plugin, AdRotate Banner Manager lets you track statistics about ads. With this option, you’ll know exactly how many clicks your ads get, and you’ll be able to single out the top-performing ads. This is great if you want to experiment and maximize your ad revenue. If you’re a beginner, but aren’t opposed to learning and tinkering with various options, go with this plugin. WP-Insert has too many functions to list here. It is one of the most comprehensive free advertising plugins you’ll find. You can use it to place ads from up to three different ad networks simultaneously. Moreover, you can place these ads pretty much anywhere. There’s even an option to automatically put an ad exactly into the middle of your post. It also lets you track clicks and impressions. This is amazing if you want to experiment with ads. You can find the type of ad and the exact ad placement that generates you the most income. You can also display different ads on different devices, exclude ads from specific pages, or not show them at all to logged-in users. And those are just a few options. If you’re looking for a powerful tool with plenty of advanced options, go with WP-Insert. If you’re looking for a plugin that takes care of it all, this is what you’ve been waiting for. It is a premium plugin, but it is well worth the $47. Ads Pro gives you a ton of options like 25+ different ad templates, custom ads, showing only a certain number of ads to the same visitor, fraud protection, and much, much more. It can even detect ad blockers and prevent them from disabling your banners. There are also many ways to display the ads. You can change your preferences according to the user’s browser, device, previously visited URL, browser language, or pretty much any factor you can think of. Of course, you can also track the statistics and eventually display only the top-performing ads. The plugin is exceptionally well-optimized, and it works well with other plugins and technologies. You also get one year of support with the base cost, and you can pay for an extended period of support if you think you’ll need it. There is no need to worry anything will go wrong. If you’re looking for the most advanced plugin possible, Ads Pro is definitely the one for you. If you don’t mind learning about all the various options, you can use it to do incredible things and optimize your ads to perfection. Are you looking for an easier way to manage ads on your site? AdSanity is exactly what you are looking for! 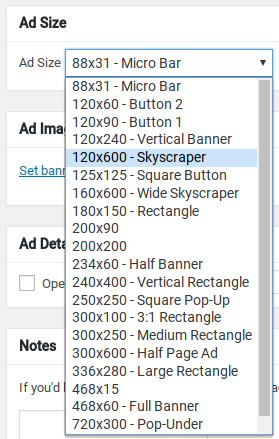 The AdSanity WordPress plugin allows you to create and display banner ads of all sizes on your site through widgets and shortcodes, and get stats on views and clicks. AdSanity is an easy-to-use WordPress advertising management plugin and it is really lightweight and fast. 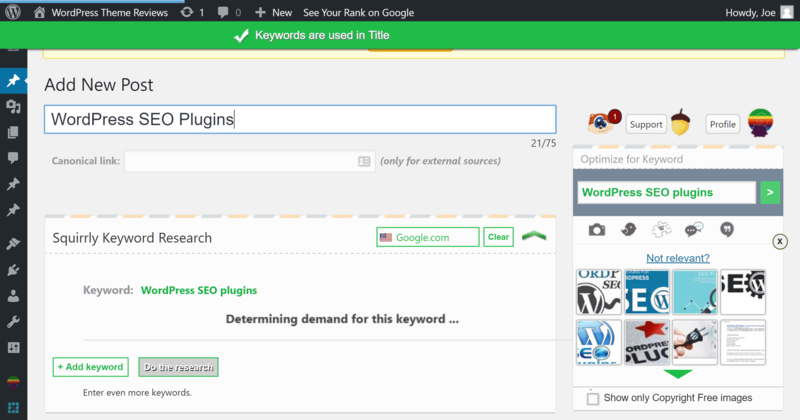 The plugin offers a bunch of great features that you need to increase your site revenues. While the plugin’s basic features are really useful for creating and managing professional ads in WordPress, you can use the addons to add some extra capabilities. What’s more, the plugin provides various publishing options that allow you to create infinite or date-based ads with a beginning date and ending date. To make your ads appear on your site, all you need to do is add them in widget areas, pages, posts with shortcodes. If yes, the next plugin is definitely your next secret weapon to deal with advertisement stuff. Advanced Ads is a great plugin that enables you to create and display unlimited ad units on your WordPress site. The plugin allows you to rotate ads, adjust space and a lot more. To display your ads, you can put them in various locations of your posts as well as your sidebar, footer, header, and more. The plugin also includes its own function if you don’t mind exploring into your theme’s code. Also, you can choose specific cases for when to display ads on your page. For example, you can choose to turn off ads on particular categories, tags, pages, posts, etc. And finally, you can also get the ability to enable or disable ads for specific user roles and devices. Ultimate Ads Manager (UAM) is another free ad manager. It helps you manage and track all of the ads that you display on your site. The plugin also includes a shortcode for each individual ad, or you can let the plugin randomly select which ad to display. Some of the primary features of UAM are its ease of use, ad grouping, and automation. In addition to its own statistics feature, the plugin also supports Google Analytics for further information about the performance of your banners. When the default stats are executed, the plugin counts clicks and views on an hourly, daily, weekly, and yearly basis. With Ultimate Ads Manager, you can draw up a number of rules to decide when the plugin shows banners and when the plugin hides them. You can also have the choice for showing banners randomly. This ad plugin has a bunch of useful features that allow you to undertake successful campaigns by yourself. 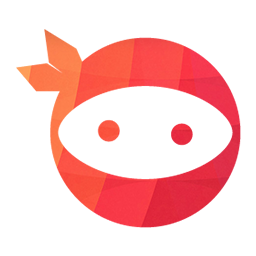 What’s more, you can even classify banners to enable the plugin to pick in a brilliant way. If you want to sync up with Google Analytics to view statistics for your banners directly in Google Analytics, you can pay for the premium version. Corner WordPress Ad uses your website’s corners to display advertisement. It does not harm the user experience because it’s lightweight, minimal and distraction-free. On the other hand, with the cool animation, you can easily attract guests and get them clicking. Once you get visitors to click on the animation, there is a greater chance that they will also follow the promotion. You can use Corner Ad for a great number of purposes, namely pure advertising, announcements, etc. You might already be using banners on your website, but visitors are not really clicking them much. If so, test Corner Ad, and see how much it can do for you. Or you just need to add extra announcement on your website, but you should avoid the traditional advertising banner. Here we’ve given you a list of advertising plugins you can use. We’ve covered all levels of plugins, from the most basic to the most advanced. It’s up to you to choose how much effort you want to put it and what you want to achieve. You can pick your preferred plugin accordingly. You should also know that a big part of running ads is experimentation. Don’t be afraid to test out various ads and various plugins. It might surprise you how much of a difference some of them make. We hope this article helped you find the best ad management plugins and solutions for WordPress. Have you ever imagined building an amazing website without executing any codes if design is not your strong point? Building an amazing website is a complicated task that takes you much time to undertake. Some platforms make the website design process easier and simpler such as WordPress, however it requires you to put a lot of effort into the entire procedure. So it’s high time for you to need the support of WordPress page builder. Page builders are tools which enable you to create and design website with the remarkably powerful drag-and-drop components that make your website design quicker, easier and you can see the results at once. Drag-and-drop editors are awesome for those who are non-website designers, beginners or non-tech savvy to help speed up their production in a long run. In this article, we’re going to introduce to you 8 of our favourite page builder plugins that will make your feel at ease and less time-consuming. 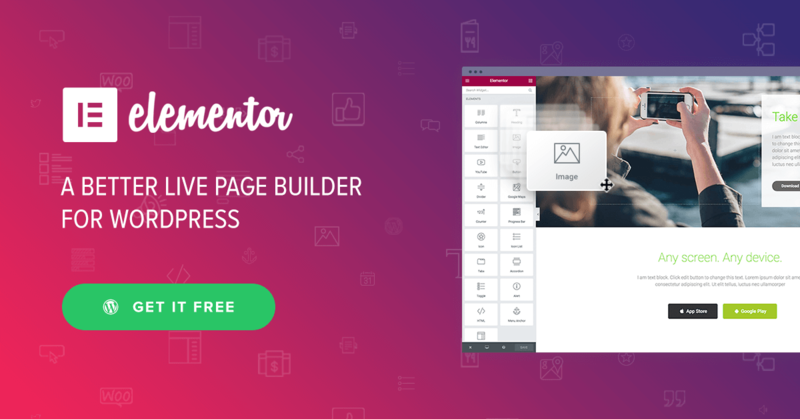 Elementor is a page builder you can rely on using on your WordPress website for free. 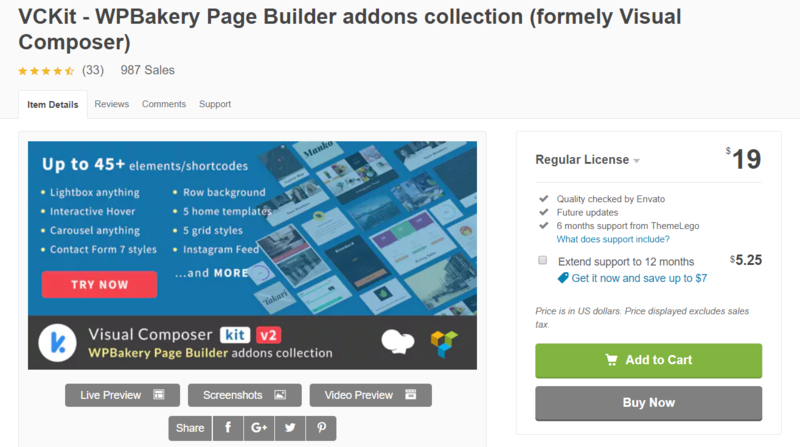 It’s also one of the youngest WPBakery page builder add-ons on this collection. 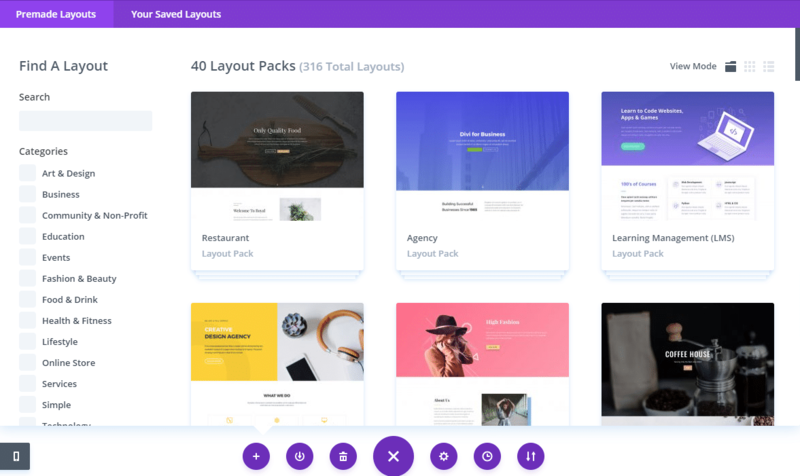 With more than 1,000,000 active installs, this page builder add-on is one of the most popular WordPress page builders so far with the most powerful secret weapon: drag-and-drop interface. Why do we claim that? Are we overestimating? Absolutely no. Because it’s not simply developed for page builder, it can be called website builder. 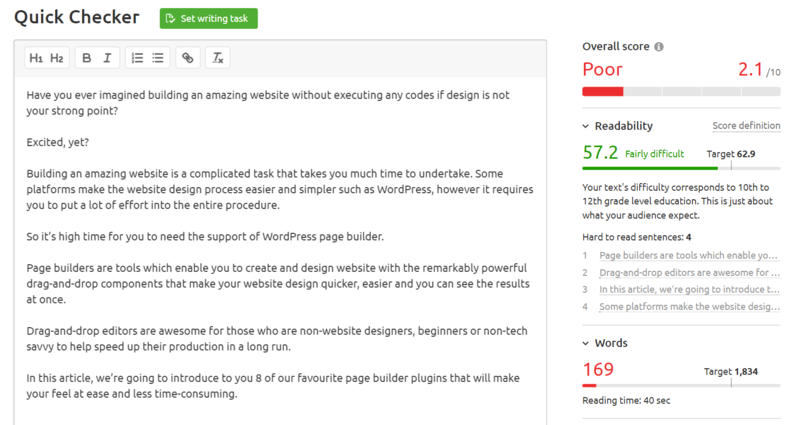 The key benefit of this page builder plugin is speed. You can easily recognize how fast and light it is in performing every task. You cannot imagine how powerful this add-on is. 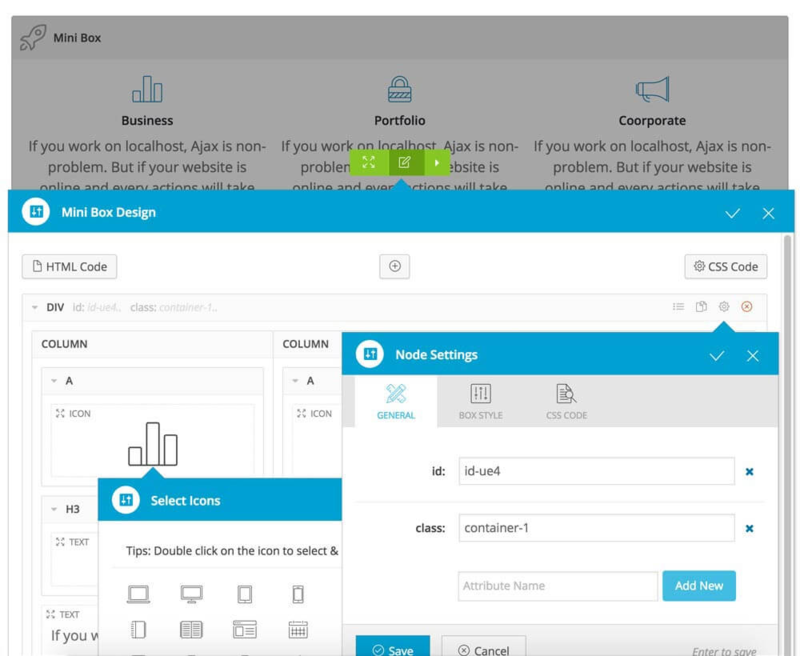 With drag-and-drop interface approach, you are able to create layouts of multiple columns and rows. You can then experience basic stuff like edit colors, backgrounds, customize the layout, upload images, and much more, depending on which element you’ve selected. Moreover, this page builder add-on also provides a great library of high-quality templates that can meet up your creativity and design interest. You can import these templates into your pages and then customize them to make them your own. There is also a premium Elementor Pro available that offers you the ability to edit posts through the front-end builder interface, create custom posts or work with global widgets, and more advanced features that are waiting for you to explore. Overall, Elementor is easy-to-use page builder add-on that helps you build up a WordPress website straightforward. 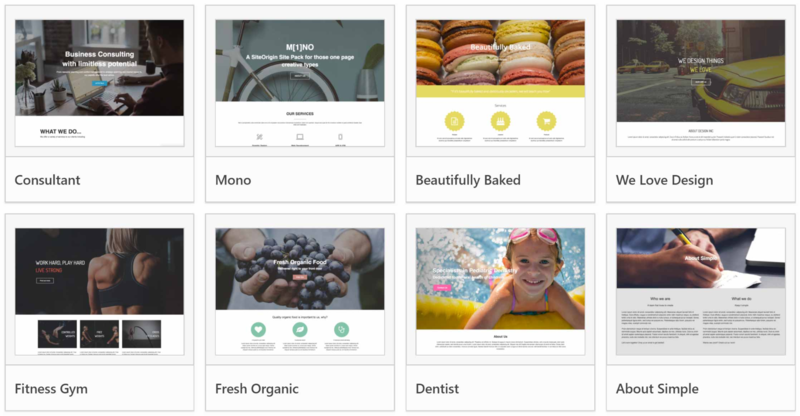 The pro version of this page builder plugin will give you access to more eye-catching templates, including designs for coffee shops, events, software products and blogs. 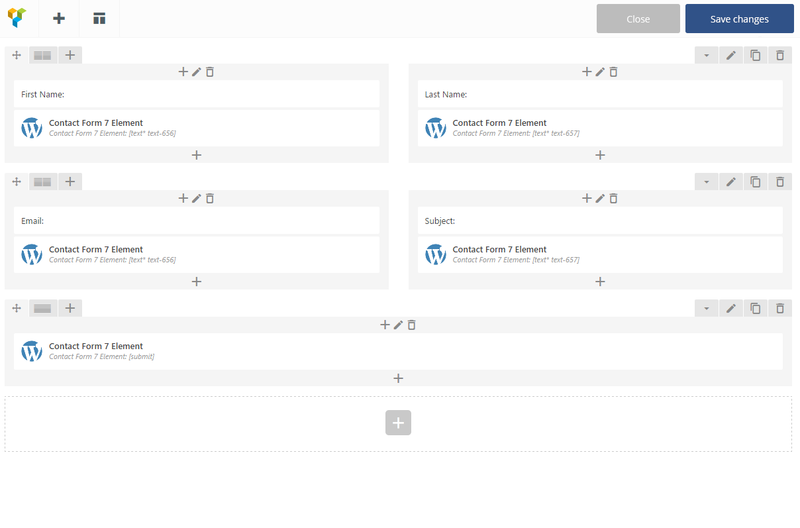 So Elementor is the perfect page builder plugin for WordPress? We will leave the answer for you to explore. But, it will a must-have tool for building your website and live up to your expectations! What are you waiting for? Let’s give it a go today! If you’re looking for a way to generate a WordPress website from scratch or upgrade the design of your current site, you should not skip Beaver Builder – one of the promising stars on the page builder plugin market. Beaver Builder is a flexible drag-and-drop page builder that works on the front-end of your WordPress website. Whether you’re a beginner or a professional, you’re going to love taking control of your website. Interestingly enough, you will be given a brief tour for overall design and basic features in the first time you launch the builder once installed successfully. This is a fantastic way to familiarize yourself with the UI and learn how this page builder works. You can take the tour again anytime. 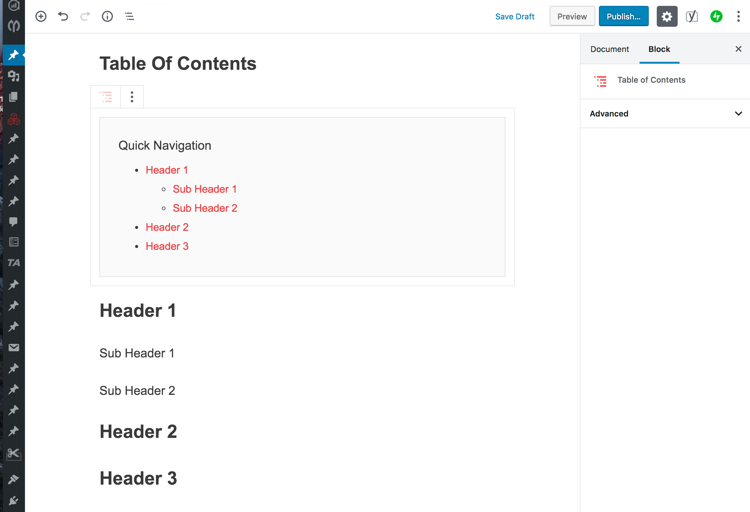 While you’re designing a page, you can drag and drop items around your custom layout. This WPBakery page builder plugin has the most user-friendly interface and powerful drag-and-drop approach that are truly essential to improve the feel and look of your website and effectively compete with other strong page builder opponents. Beaver Builder recently added inline text editing, which means you can either type directly on the page to edit your text or use the popup that appears. Beaver Builder also makes sure that the content you create with this plugin is highly responsive and mobile friendly. 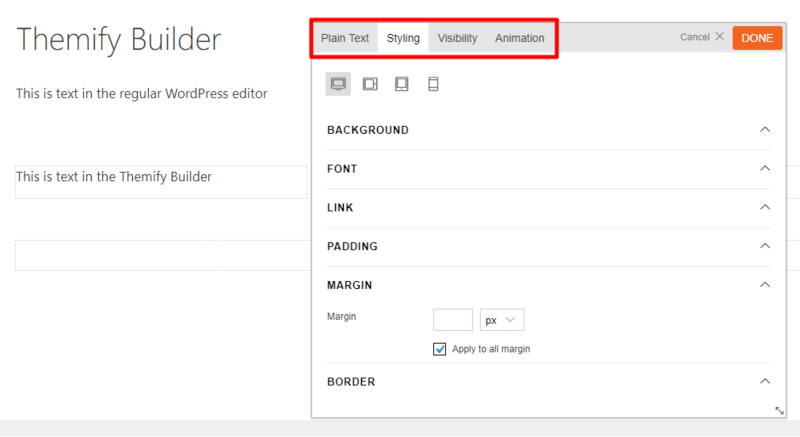 Plus, this WPBakery page builder plugin also allows you to insert any widgets that are active on WordPress site into your content in order to help build up your website more creative. Are you a big fan of customisation? 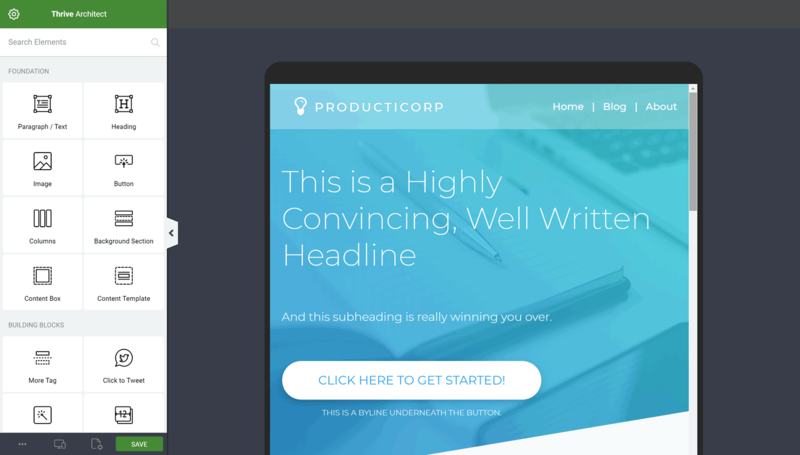 Thankfully, this wonderful builder plugin offers you a wonderful selection of eye-catching and stylish templates that help create or polish the front page of your WordPress website or a sales page to promote coupons or offers better to visitors. Interestingly, these templates are customizable, so you can use your creative ability to personally design your own unique website. The next page builder plugin we want to introduce to you is a newly arrived member that is worth your try, King Composer is a rising star with powerful drag-and-drop feature in the market lately. Nah no need to be in a hurry! We will tell you the reasons at once. As we’ve mentioned earlier, the biggest benefit of this page builder is the drag and drop tool which works perfectly and incredibly handy for users. On top of that, there’s a noteworthy element that absolutely wows both end users and developers because it helps them to build any complex website easily called Advanced Mini Box. What’s more, King Composer is also compatible with all default WordPress widgets as well as 3rd-party plugins, so it will work smoothly with both newly-created websites and a few plugins built in, as well as huge websites with dozens of plugins added. One more striking feature that is the greatest appeal of King Composer is the price. It is FREE with regular support and this is the reason why King Composer is welcomed generously and widely. Thrive Content Builder is now Thrive Architect. It’s more powerful than ever. The brand-new name goes along with a new version of this plugin with a new interface that allows you to edit inline content, and a powerful set of controls for appearance customization and loads of wonderful revamped features that are waiting for you to explore. Let’s first talk about the most noticeable change of this page builder plugin – User Interface (UI). Honestly, the UI is pretty clean and simplified which closely resembles Elementor with a bunch of useful features. Sometimes you might get mad at dealing with content table because it’s quite complex, right? Now things are a lot easier with Thrive Architect with powerful content editor and this is not a big deal anymore. The newly revamped UI looks ideal for creating a custom homepage for your website, upgrading your blog posts with interesting designs, or adding high-converting sales. So, you’ve spotted some similarities between Thrive Architect and Elementor user interface, right? It’s truly a remarkable improvement to the WordPress user interface. Probably one of the most noteworthy features of the Thrive Architect interface that cannot be found in every page builder plugin – is the inline text editing. This great page builder plugin allows you to click on a text area and start typing in lieu of having to type into the sidebar or a pop-up panel. This really speeds up the workflow and makes it easier to preview your work. Because many other page builder plugins, even top premium ones, are not equipped with this feature, it’s certainly the best part of Thrive Architect. 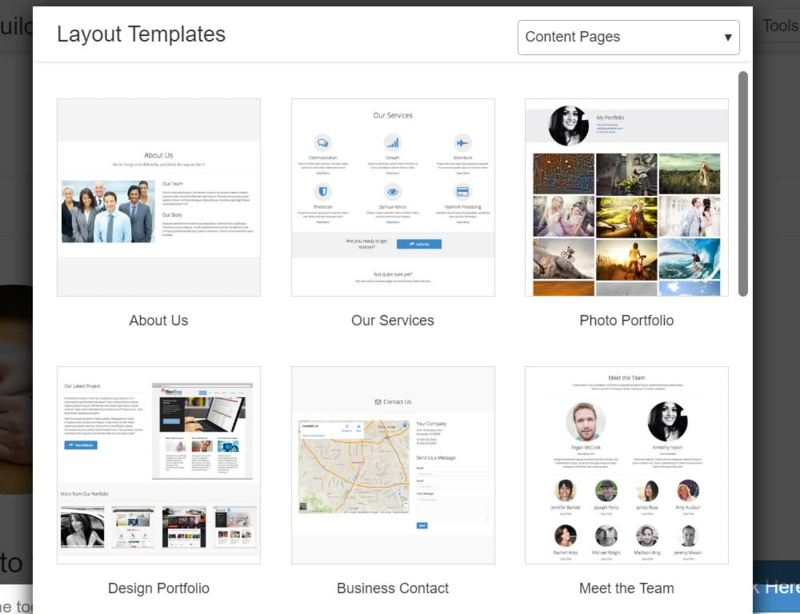 Additionally, Thrive Architect also provides a great collection of page templates that you can choose to match your needs. All the templates are beautifully presented, eye-catching and classified neatly. Over 200 templates in the Thrive Architect library offer you numerous options when it comes to adding new content to your site, especially some of these highly focus on driving conversions that is highly effective when it comes to generating leads and closing sales. Last but not least, this page builder plugin gives you complete control on how your page should appear in mobile and tablet devices. Everything is super friendly and responsive. It’s obvious that a majority of page builder plugins on the market have been the premium tools so far and you have to pay exorbitant cost for them if you want to speed up your work. However, if you’re on a budget, there’s still one good alternative to help you create your website instantly without executing codes and especially, it’s completely free. 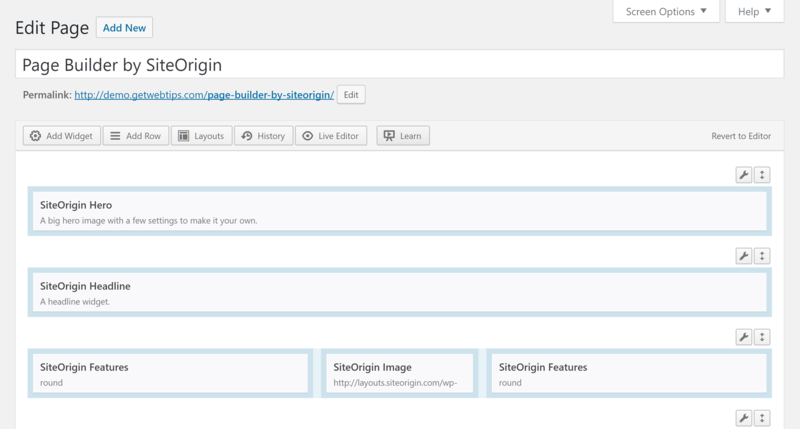 SiteOrigin Page Builder is exactly what we are talking about. It can be seen as one of the most popular free page builder plugins available for WordPress that will help you quickly and easily create complicated page layouts with columns, widgets, and more. So what does this little boy possess to compete against many excellent page builder giants on the market? Let’s first talk about the user interface. It has two interfaces that help you build the design and you can also drag and drop blocks to edit, but it lacks any type of live preview and inline editing feature. Plus, this page builder plugin offers you a great selection of useful modules to your page designs, and similar to other alternatives in this list, you can also add widgets that are currently active on your site, including those from third-party plugins. If you’re looking for customisation or design inspiration, SiteOrigin also provides a great selection of templates that help you drastically improve your homepage layouts in just a few clicks, but the template library does not have as many options as other premium page builder plugins in this list. Overall, for a free WordPress page builder plugin, the overall SiteOrigin Page Builder user experience is good, and if you’re on a tight budget and still want to create advanced page designs for your website, it could be a great help. Divi Builder is a popular premium page builder working as a standalone WordPress plugin from the famous leading WordPress theme shops, Elegant Themes. Divi Builder possesses a easy-to-use interface, a great library of modules, many eye-catching templates, and a wide range of options to help you adjust things and customise your content in the way you want. If you want more control over how your WordPress website looks, then this plugin could be what you’re looking for. Basically, the UI of Divi Builder is pretty clean and you will spend most of the time working on popups and floating buttons instead of any traditional types of sidebar like other page builders. If you are a non-web designer and do not feel confident about web design because design is not your strong point, no need to be in a big worry! 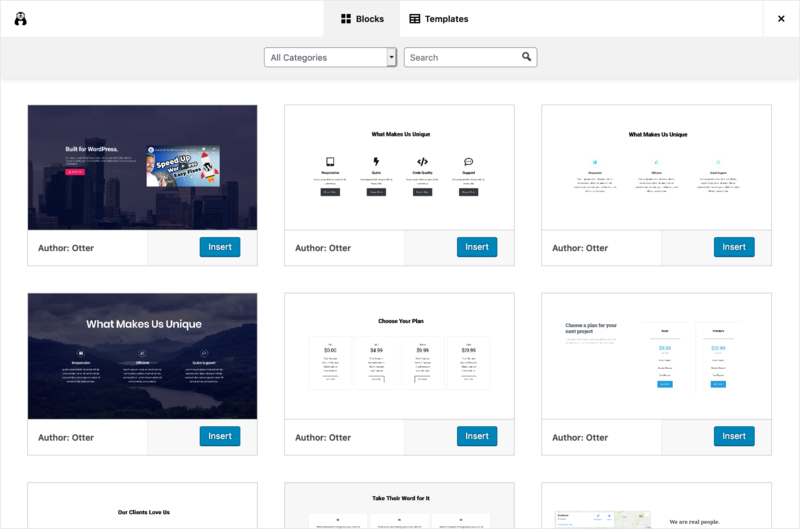 Divi Builder comes with an enormous library of 316 gorgeous templates that you can choose from including multiple homepage designs, blog post templates, the list goes on and on. Overall, if you are looking for a way to create beautiful content and build pages on your website, we recommend checking out Divi Builder. It won’t let you down. Themify Builder is an easy-to-use drag-and-drop WordPress page builder that allows you to arrange your content by dragging and dropping in a live preview mode. 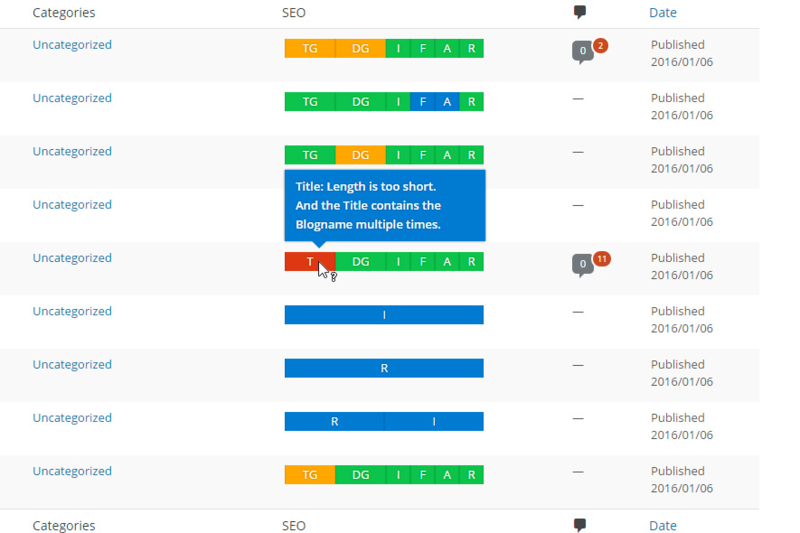 The Themify Builder allows you to drop in various modules to build different types of content and then you can then rearrange the content block, rows, and grids by dragging the modules you desire. 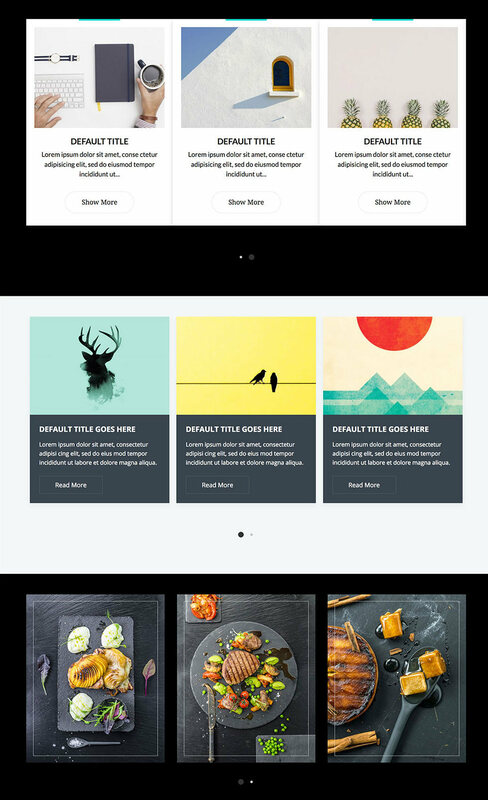 Additionally, Themify offers a great library of 37 beautiful and high-quality themes with responsive designs. They have a range of different styles including: portfolio, photography, magazine, ecommerce, business, restaurant, multimedia and blogging. You also get 143 full page templates, as well as a smaller number of Rows, which are basically pre-built sections. 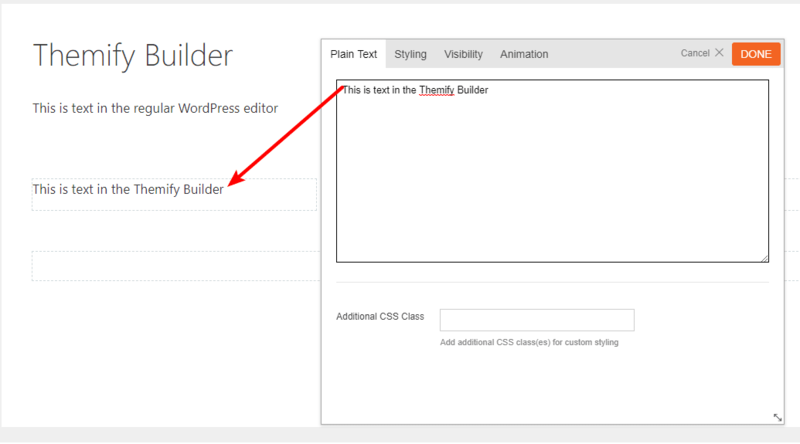 Overall, Themify Builder plugin is one of the noteworthy page builder options available on the market with lots of features for customizations, layouts, appearance, and looks. Launched in April 2018, Brizy was first released in April 2018 and by far is a new kid on the block in this collection. The number of current elements of Brizy is quite modest with 17 elements and hopefully it will be on a rise in a near future. Also, this page builder provides over 150 blocks that you can use for your purpose. Another benefit of Brizy is that it enables to customize the elements once they’re on your page instead of using a sidebar or a pop-up like many other page builders. Overall, it’s the perfect choice for those who still want to experiment with the modern-looking drag-and-drop page builder. So local and small businesses cannot miss this. Drag and drop page builders have become massively popular and trendy over the last couple of years because they allow anyone, regardless of their technical experience, to create beautiful website layouts in just a matter of clicks. You can create eye-catching, elegant or stylish designs to captivate visitors’ attraction by simply dragging and dropping blocks into the selected area. Simple as that! If you are considering reconstructing or revamping your websites, these page builder plugins in the collection may be super useful for you. Let’s give any of these plugins a go and build exquisite websites promptly. WordPress Gutenberg is undoubtedly a revolutionary new editor that has got mixed reactions from the worldwide WordPress users. Although the new WordPress Block Editor is offers great blocks to create content, it’s not flexible in content creation and lacks numerous essential features that make it more fantastic and attractive. That’s why Gutenberg plugins are come out and bring in a whole new interesting experience towards the block editor. We have spent hours on research to collect the top 9 best WordPress Gutenberg blocks plugins. Please read this till the end to explore amazing new Gutenberg blocks. Okie? 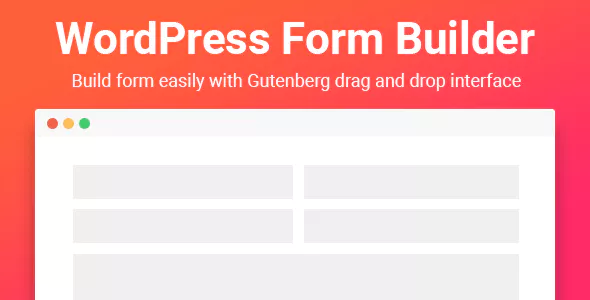 WordPress Form Builder uses Gutenberg to build most kinds of forms, allow you to create beautiful contact forms at ease. You can add form fields easily by using drag and drop feature. This plugin is 100% mobile responsive contact form solution, so your contact forms will always look great on all devices (mobile, tablet, laptop, and desktop). We took the pain out of creating contact forms and made it easy. There are smart business owners, designers, and developers who love Gutenberg Form Builder, and you will too! Atomic Blocks is by far one of the most reliable options among all the current available Gutenberg block collections on the market. Includes eleven new Gutenberg blocks. Adds post grids, containers, testimonials, share icons, and much more. Atomic Blocks currently contains eleven blocks, namely post grids, containers, testimonials, inline notices, accordions, and more. In order to familiarize first-time users with the UI and help avoid confusion, this Gutenberg plugin separates all its new blocks into a new tab once you start up the plugin. Additionally, what makes this plugin stand out from the crowd is its theme support called Atomic Block theme and it’s totally compatible with Gutenberg. The Atomic Blocks theme offers a self-explanatory and gorgeous minimalist design with a single-column layout that is flexible and responsive. It scales perfectly to any screen size and mobile device. Overall, the Atomic Blocks collection is a must-have extension for those who want to extend more options of the new editor’s functionality. Advanced Gutenberg is an improvement of the current WordPress block editor that gives you more control and new blocks. Especially it’s completely FREE. Advanced Gutenberg provides a full control over all the editor tools: filter the blocks available for each user role, or even per user. What’s more, the plugin comes with a number of time-saving tools, namely a table manager block, an accordion and tab blocks, a contact form block and many more! And it’s completely open source and FREE. It’s easy to see the new Advanced Gutenberg blocks. All the new blocks are shown in purple. In addition to offer blocks, with this plugin, you can create edition profiles and assign users or a group to a profile. You can basically personalize and create custom CSS styles, edit icons color, and change the block configuration. Stackable WordPress plugin offers ready-to-use blocks for the Gutenberg editor. With the blocks provided by this plugin, you can create beautiful landing pages and websites. Currently, it includes 17 new blocks you can add to the editor, including some that are similar to the ones provided by Atomic Blocks. Include 17 new Gutenberg blocks. Customize your new blocks by changing their background, adding animations, modifying text sizes, and more. The noticeable characteristic of this WordPress Gutenberg plugin is mainly based on the number of blocks making it one of the biggest block collections on the market. More importantly, all of Stackable’s blocks are highly polished. 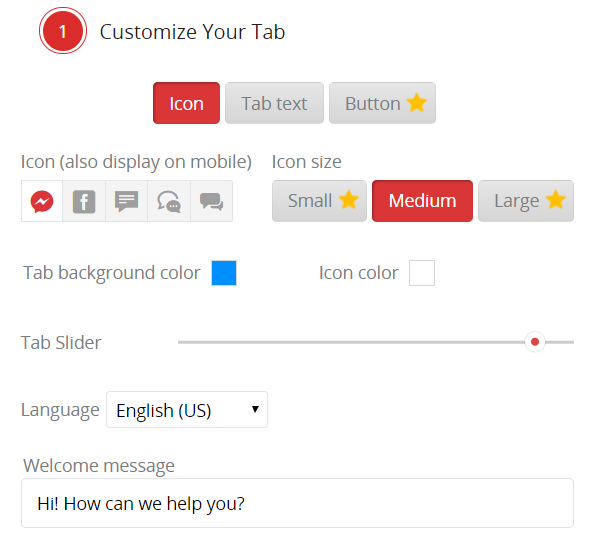 The plugin also offers advanced customization options such as enabling you to add and change background images, animations, and more. Editor Blocks is a newcomer when it comes to Gutenberg Block collections and it’s powerful in features. Includes ten new Gutenberg blocks. 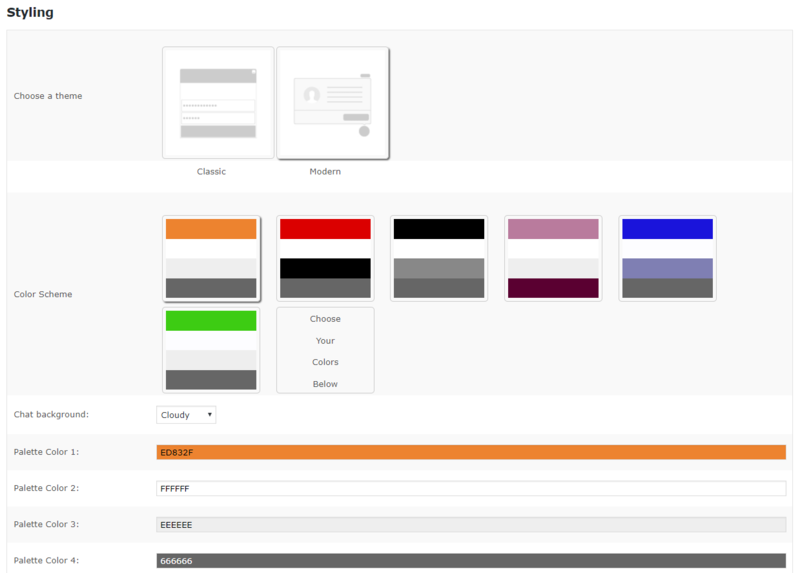 Lets you create stylish pricing table and team member sections on any of your pages. 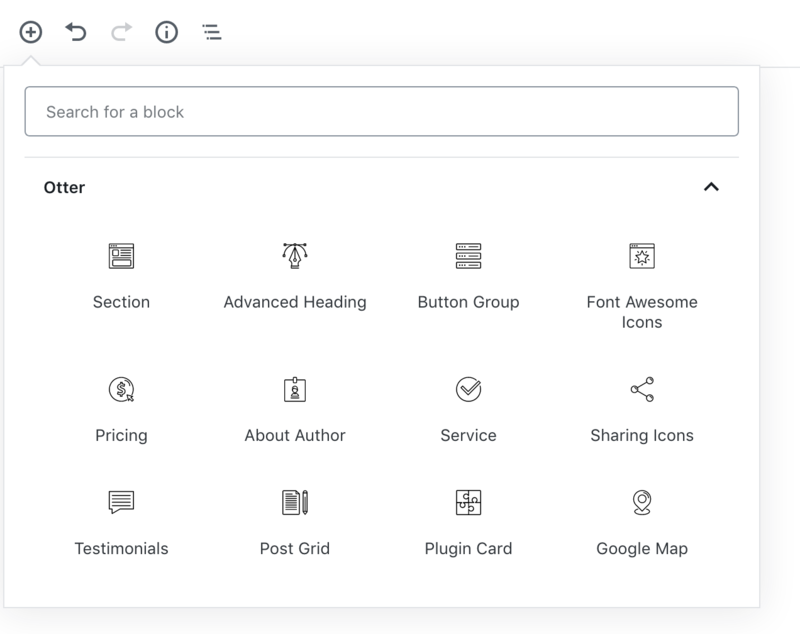 Let’s first look at the user interface of Editor Blocks, this plugin adds ten new block options to the Gutenberg editor including pricing tables, team member, hero sections, and so forth. The Gutenberg plugin is very lightweight and handy to create beautiful pages and posts on your website. If you’re looking for the best block options to set up these types of sections, Editor Blocks will suit your taste. Kadence Blocks is a free Gutenberg plugin by Kadence Themes. This plugin lets you extend the capabilities of the Gutenberg editor and have better control over columns and rows. Overall, this block comes with a number of awesome features which allows you to create a section, container or wrapper easily. Ultimate Blocks is another great WordPress Gutenberg blocks plugin which is specially built for bloggers and marketers. This plugin makes it easier to create better and engaging content with Gutenberg. The Ultimate Blocks plugin currently offers 14 different blocks and the new blocks will be regularly added to the plugin to make it one of the most comprehensive Gutenberg blocks plugin. Once you’ve installed the plugin successfully, you can enable or disable individual blocks to keep your site faster and smoother. Because the plugin is newly released and a bunch of different blocks are in the preparation process for the future plans, you will be able to get most of your tasks done by this single plugin. So, this plugin will help you to make your site load faster by leaving out the requirement of different plugins for your site. 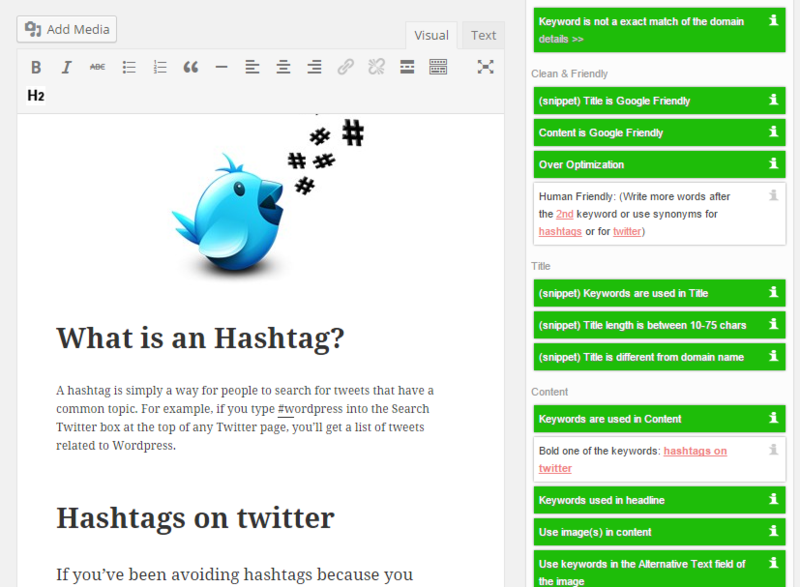 The most unique blocks of the plugin are Table Of Contents and Review Box. If you are a blogger or a content marketer, this is the right choice for you. Can you do without the social sharing buttons these days? So this plugin will give you a social plugin for your site when it is successfully activated on your site. You can personalize this social sharing button by changing the shape or colors of the buttons. CoBlocks is a free and open-source plugin for the development of Gutenberg WordPress editor that adds specific block types to the default Gutenberg database. Though its key point is all about content marketing, it’s still great for everybody who is using Gutenberg system. With additional blocks, row and column building, CoBlocks gives you a true page builder experience for Gutenberg. 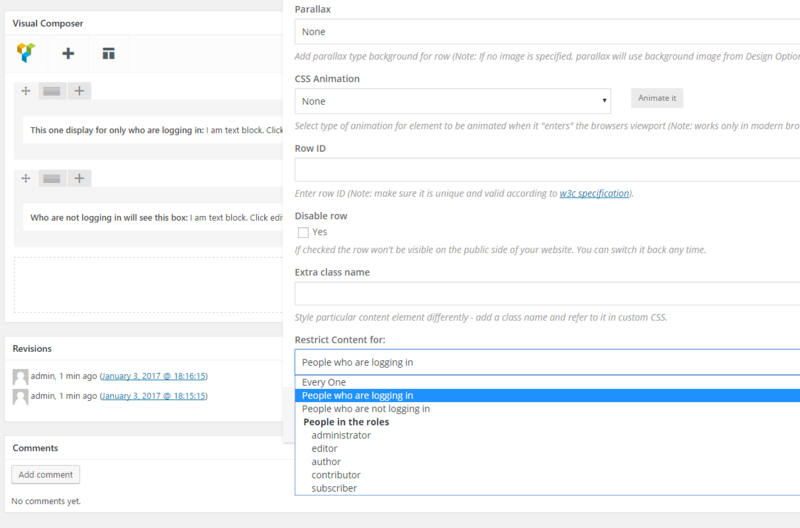 CoBlocks is powerful but lightweight: it adds functionality to the WordPress editor without bloat. This is the plugin you’ve been waiting for, and it will make you rethink what WordPress is capable of. This WordPress Gutenberg plugin also support social sharing for users to add links for various social networks that enable the reader to directly interact with their opinions regarding the article. Gutenberg Blocks and Template Library by Otter is a lightweight WordPress plugin that brings additional Gutenberg blocks to your site. So, if you want to create complex pages and posts optimized for your e-commerce, business, social media site – you got a deal as this plugin comes with a great collection of Gutenberg blocks that truly meet your expectations to build beautiful pages. The most noteworthy feature of the Otter library makes sure that you’ll have all the materials you require in order to keep your content. The eye-catching user interface gives you a better control for your content in just a few clicks. Plus, this Gutenberg plugin offers a full menu that lets you produce blocks in many ways, but the best blocks are ones that integrate with other programs. One of the blocks Otter uses is the one that links to Google Maps. Great! You can also use blocks that support analytics groups or other programs dedicated to sharing your content. There’s also a plugin card design that produces a convenient use for your benefit. The new Gutenberg editor actually makes the process of creating and publishing content way more better. With great support from above-mentioned Gutenberg plugins in this article, the process will be drastically improved through extra blocks. 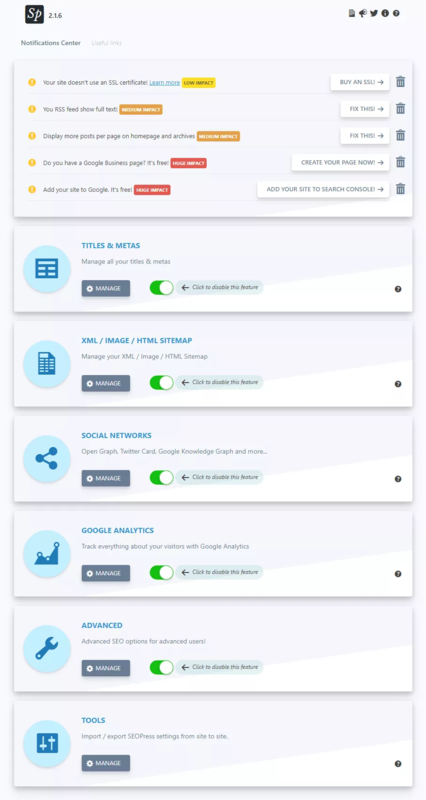 You guys can download and check the plugin to see what benefits each plugin offers. We guarantee that all these Gutenberg plugins will receive regular updates to add more new innovative blocks for effective content creation. Do you have any experience with the plugins we have written about? What is your favorite? Please leave your comments down below. Hope you guys found this collection helpful. Thank y’all and warm welcome from Ninja Team! You definitely do not have enough time to answer the same constant queries raised by customers, right? To free up your time, while still giving customers support and adequate information in an organized way, you might consider using an automated solution. Say hello to chatbots. And don’t be surprised when they talk back. A chatbot is, as the name suggests, an automated chat system that sends responses to people’s greetings and inquiries. They can converse with web visitors through a chat window placed on a website. Chatbots are becoming hugely popular and appearing on a great number of business websites as well as e-commerce sites for the purpose of providing instant customer support any time of the day through automatic response towards visitors’ inquiries. With the great help of the Chatbot, it has now become possible for a company to provide full customer support 24/7. Consequently, Chatbots plays a critical role in a variety of daily tasks such as collecting email address, phone numbers or any other important details. In this article, we’ll take a look at 8 best WordPress chatbot plugins to explore how they can improve your site. Do you want to grow your business with a technology bot? 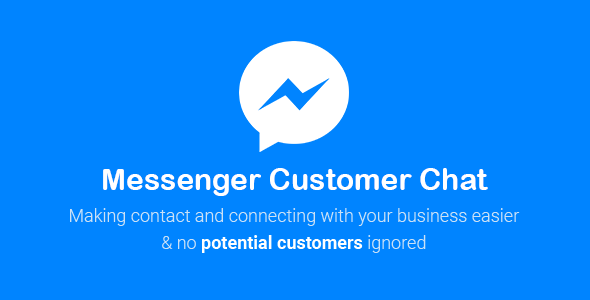 Facebook Messenger Chat with Bot for WordPress uses Facebook Messenger Bot API to help you make a bot which can automatically answer questions from your customers/ visitors. This is the best way to help you save time and grow your business – Your customers can receive answers instantly when you are not online. The bot does that. You can set up answers when your customers have questions. Yeah we have a backend for you to set up it in an easy way. 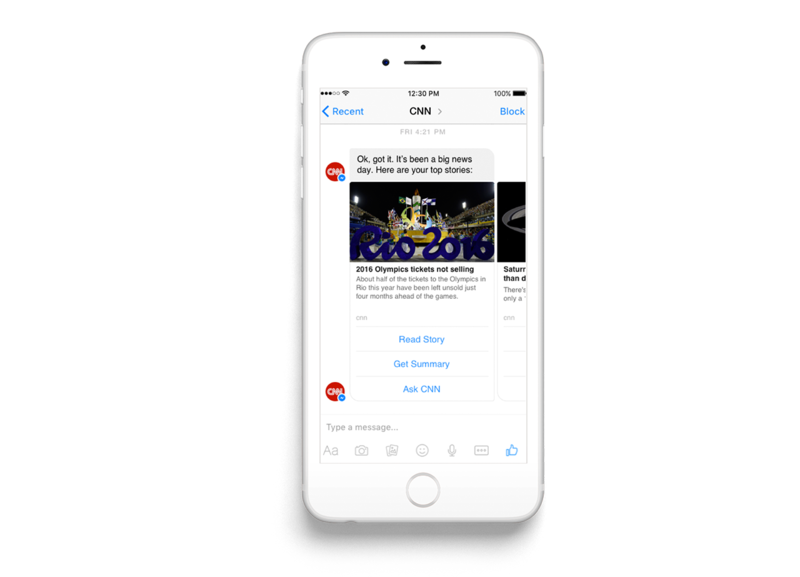 Are you trying to find the effective solution to automatically send news and updates to all subscribers with the help of Facebook Messenger? Then WP Chatbot for Facebook Messenger is definitely the exact WordPress chatbot tool you are looking for. This useful chatbot plugin is appropriate for bloggers who want to keep their subscribers updated with recent posts. Implement Facebook Messenger into a WordPress site for both live and automated chatting. Compatible with all Facebook chatbots. 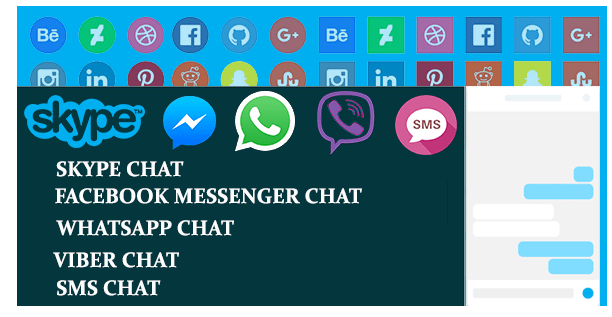 This WP chatbot plugin allows you to use Facebook Messenger through your website to chat directly with users. To install this plug-in, you must get a free API key from the NewsBooster website and enter it in the settings. Then, you will also have to configure where to put the subscribe widget on your website, so visitors can sign up to receive your automatic messages. Collect.chat is considered one of the top-rated chatbot plugins for WordPress and is widely used for collecting data from visitors by a great number of WordPress users. With the help of Collect.chat, you will be able to accumulate customer feedback in a systematic fashion. Installing Collect.chat is super duper easy. All you have to do is copy and paste a snippet of code into your website and it’s done. This WP chatbot plugin is designed specifically for gathering data from your website visitors. This chatbot plugin enables you to collect customer feedback and opinions which is useful to provide them what they need. The UI of this chatbot plugin is pretty self-explanatory with drag-and-drop feature that is so handy for you to make it look as you want. Overall, Collect.chat is the perfect automated WordPress chatbot plugin for websites to collect leads, data and feedback from customers. Let’s say hello to one of the most wonderful artificial intelligence (AI) services developed by IBM. IBM Watson Assistant is a powerful chatbot plugin based on IBM’s AI assistant Watson. With this plugin, you can add a chatbot to your site and train it to help your visitors in various ways, namely answering questions, providing information, and offering help, etc. Powerful chatbot with machine learning and advanced configuration options. Ability to customize the appearance and location of your chat box. Enables you to view past conversations between users and Watson. In order to add Watson to your site, all you need to do is to install and activate the plugin. 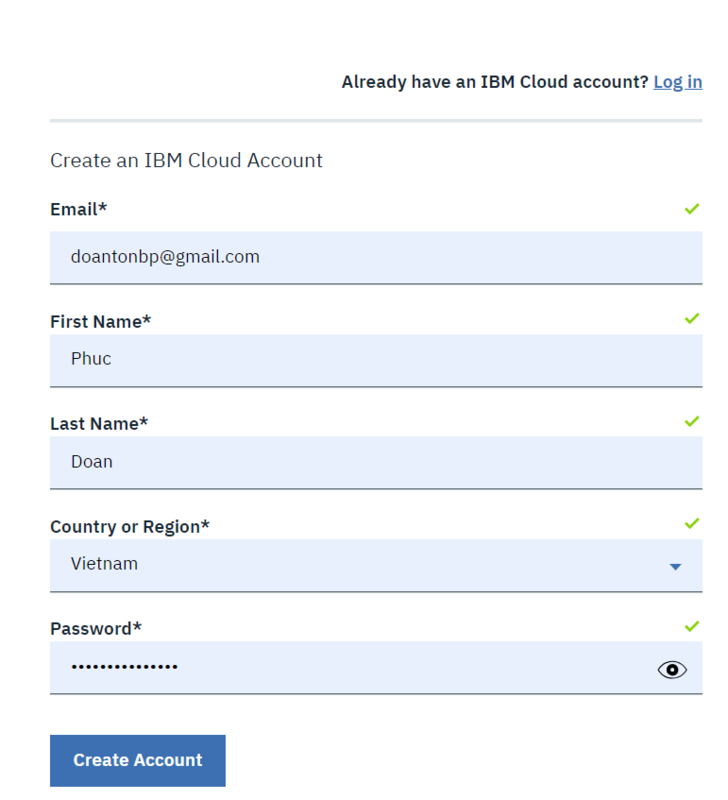 You then need to sign up for a free IBM Cloud Lite account for the purpose of building your assistant. From your plug-in settings panel, you can choose which pages and posts you want the chatbot to appear on. Also, you can have the options to personalize the appearance of the chatbot. IBM Watson Assistant effectively deals with every single simple task such as giving customers greetings or help them to navigate the website and thus help them to find out the product they are looking for. Overall, this WordPress chatbot plugin with the immense help of AI is an amazing tool from IBM to help your business provide instant responses to customers’ inquiries without taking much time and effort. You’re running a WooCommerce store and looking for an automatic chatbot? 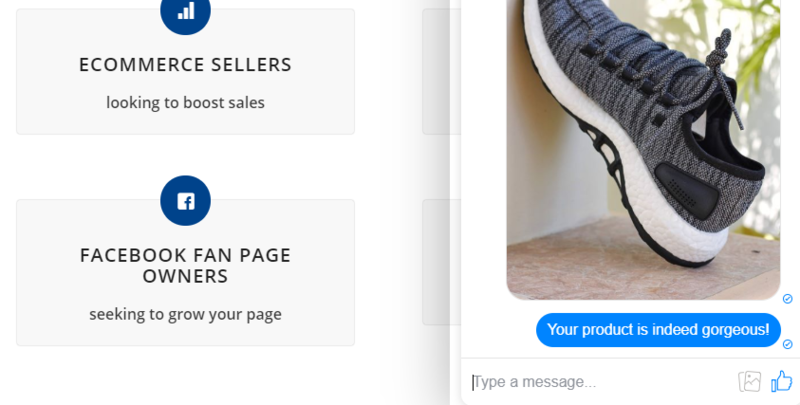 WoowBot is another powerful WP chatbot plugin in today’s collection to works as an automatic assistant to your WooCommerce website visitors and help them to find the products they are seeking. Easy plug-and-play installation with no configuration required. Provides helpful search functionality to your WooCommerce site. The premium version contains additional advanced functionality. The free version of the plugin can help customers find products they want, like an advanced search function. Plus, it also offers additional functionality such as enabling users to add items to their carts directly through the chat box or allowing you to personalize WoowBot’s responses to inquiries. For example, you’re running an e-commerce store selling mobile gadgets. Customers could ask the WooWBot if you sell Galaxy S10 Plus. If you do, the bot will show the customer your requested product. Virtual Spirits Chatbot is another excellent WP chatbot plugin that offers automatic support to customers in multiple languages such as English, French, Arabic, Spanish, Dutch, Russian, Hebrew, German, Italian, and Portuguese. This is also the predominant feature that helps Virtual Spirits Chatbox stand out of the crowd because the chatbot plugins in other languages other than English are uncommon. 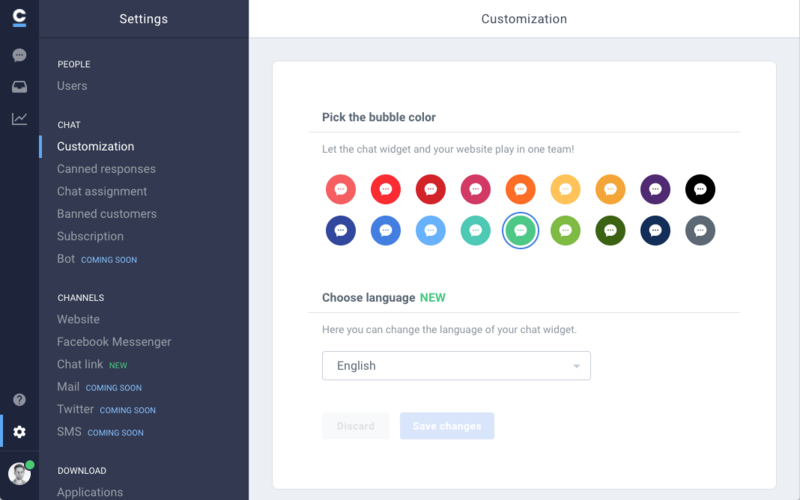 You can personalize your chatbot with your choice of colors, images, and logo. 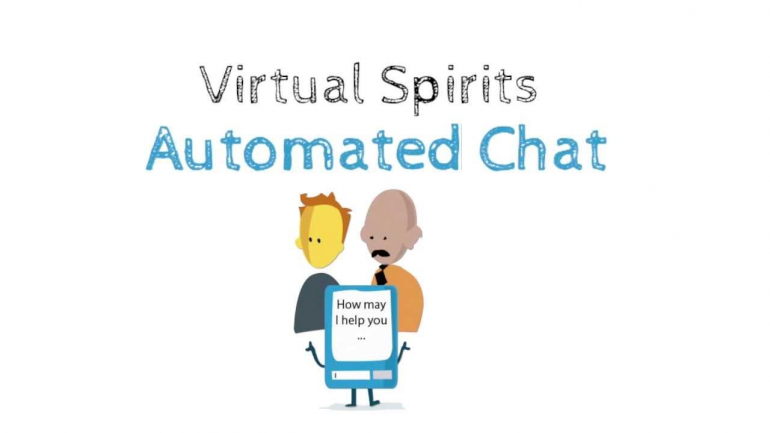 Overall, VirtualSpirits gives you many options to fit their chatbot to your brand and targets. Gobot is a chatbot used to automatically archive email addresses from your website visitors. With this plugin, you can collect customers’ valuable information through forms, surveys, or polls for collecting helpful information. The chatbot plug-in also acts as an automated customer service and a meeting scheduler. As we’ve mentioned earlier, this WordPress chatbot primarily presents forms, surveys, polls, etc. for gathering numerous types of valuable information, so it allows you to write your own script with the flexible and powerful drag-and-drop bot builder which is fairly convenient to build intelligent script to respond to customers. 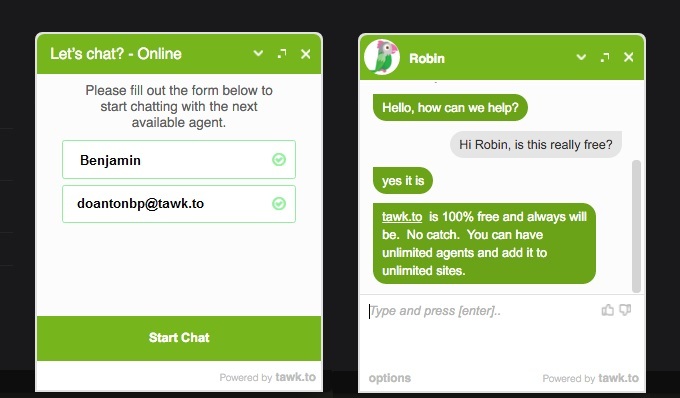 You can even compose specific messages to appear in your chatbot based on the pages your visitors are viewing. Enable your Gobot to start a dialogue with a customer after they’ve been on your site for a specific amount of time. 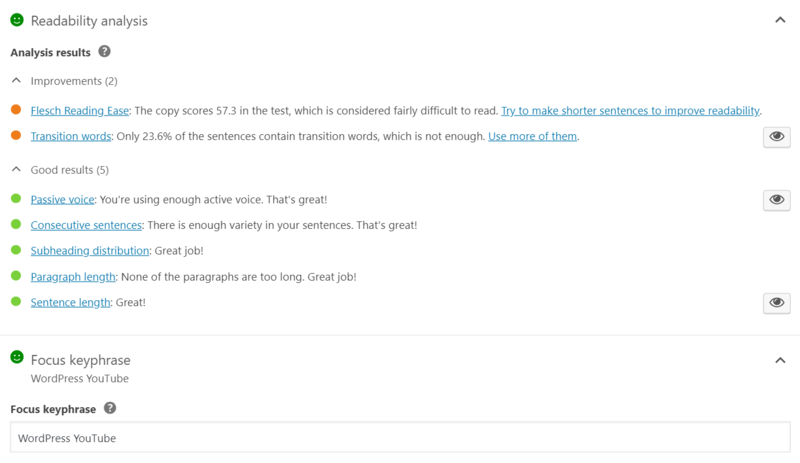 The ultimate great chatbot tool in today’s collection is My Chatbot powered by Dialogflow, aka an artificial intelligence chatbot for WordPress. Enable a personally branded chatbot, complete with rich content messaging and quick replies. Enable the chatbot using both widgets and shortcodes for individual posts and pages. This highly responsive chatbot operates based on Google’s machine learning algorithms. Thus, it tries to imitate Google assistant that makes it probably become one of the most powerful chatbots in the world. Also, the chatbot plugin allows you to enable rich message content as well as instant replies and image replies. The UI of this plugin is easily adaptable and you can choose what pages and posts the bot is enabled on. You’ll have the options to alter from text fonts and background colors to chat opacity in the plugin’s settings. Chatbots are becoming immensely popular and can make your website achieve the next level. Whether you’re running an online store, a brick-and-mortar store or a simple blog, chatbots can become your powerful weapon to deal with customers’ inquiries, so you don’t need to spend much time answering simple questions. It’s obvious to say that chatbots cannot a complete replacement for human interaction, they can be a reliable customer assistant to provide support and information instantly to customers. Try out some of the abovementioned WordPress chatbot plugins and see how they can improve your WordPress website or e-commerce store. I’ll jump to the bottom line. If your company sets up reservations or appointments, you definitely need an online booking system. Period. Operating a brick and mortar business is kinda outdated, right? Whether you run a hairdresser or a restaurant, all you want is to make it easy for your customers to make bookings online. However, maintaining an online booking website is a complicated task. It’s vitally important to find the effective solution to serve our needs as well as grow our business to enhance the interaction with customers through booking process. That’s why today’s article will be looking at 8 essential WordPress booking plugins to help you create an online appointment and booking management system and you might be amazed at how much these plugins can help. 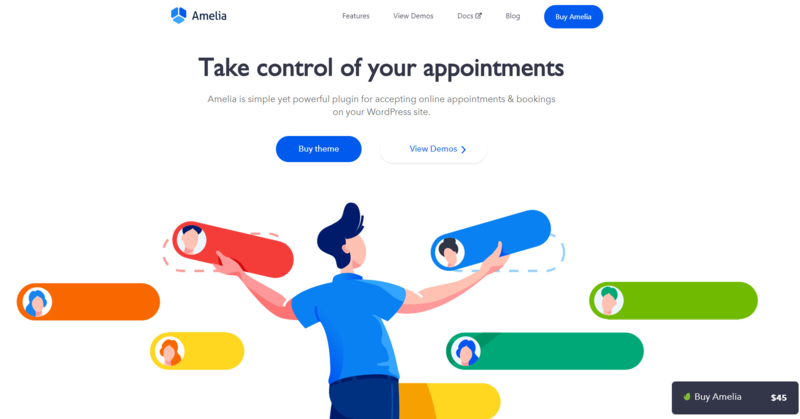 If you’ve been attempting to find an appointment booking plugin with a simple user interface for your service website, Amelia is an effective solution that’s worth your consideration. Amelia is an automated booking specialist which is a powerful and easy-to-use appointment booking plugin that’s highly appropriate for many different types of business websites and you are able to manage your business with ease. What makes this WordPress booking plugin stand out from its competitors is that it includes lots of features that are not commonly found in some other WordPress appointment booking plugins such as you can easily manage appointments at multiple business locations. Another useful feature of this plugin allows users to add multiple services or types of appointments. This is therefore highly beneficial for you to offer a variety of services from your website, allowing your visitors to choose which ones to book. Amelia can also manages multiple employees, who can each accept and handle their own bookings. Additionally, this plugin allows you to make payment from your online appointment booking system through common payment services such as PayPal and Stripe that will make your payment process easier and effortless. Overall, thanks to its long list of great features and support in various businesses and industries such as doctors, gyms, and salons, Amelia might be your most ideal tool in dealing with online booking system. So, give Amelia a try and check out the demos before making your purchase. Bookly Booking is one of the most used and popular WordPress appointment booking plugins that you can rely on. It is fully customizable and responsive with sleek design and modern and visually appealing. One of the striking features that makes Bookly one of the prominent WordPress booking plugins is that customers have the right to pick their favorite employees with appropriate pricing. Plus, making appointments on website with this WordPress booking is super duper simple because of its self-explanatory user interface. Especially, smartphone users will find it easy and effortless when it comes to booking appointments owning to the plugin’s responsive design. Select the service with the options for categories and employees, if applicable. Enter personal details like name, phone, email, and additional notes. You can come up with more marvellous idea of how this powerful tool works by trying the online demo on the Bookly Booking Plugin webpage. Booking Calendar is an ideal solution for those of you who are working in the hospitality industry. It is one of the most easy-to-use and free WordPress booking plugins on the market with a calendar view for both you and your website visitors. You can easily add your booking form into any WordPress post or page. This WordPress appointment plugin is greatly powerful and provides various options that can be configured from the plugin’s settings panel, namely built-in captcha to prevent spam, email notifications, jQuery effects, and more. 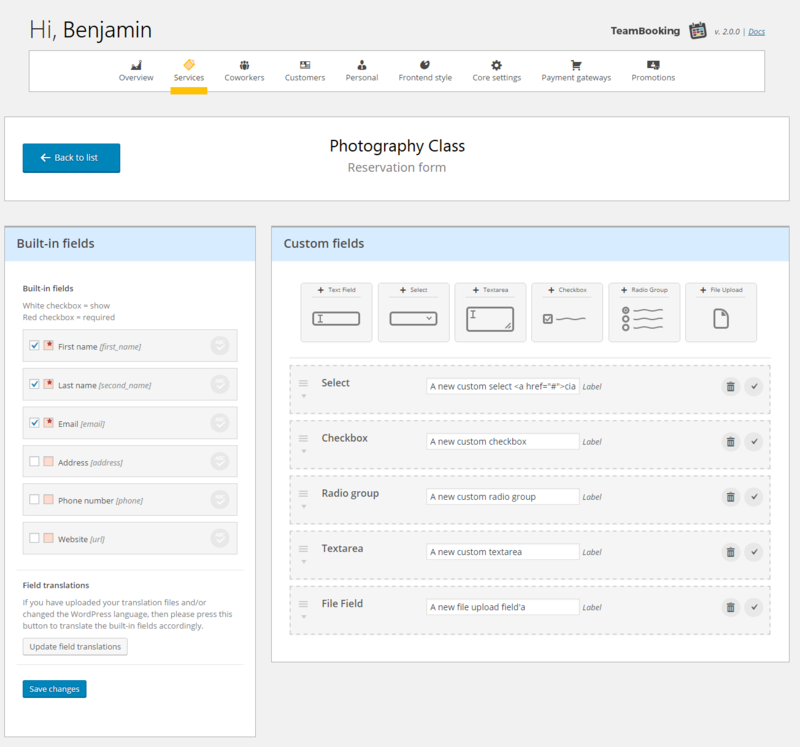 Also, you can even customize the booking form with your own custom fields. Booking Calendar works pretty well and responsive on both the front-end and back-end. For those of you who are not tech-savvy, you shouldn’t worry about the plugin installation. All you need to do is insert the shortcode into a page or post on your site and voilà. It’s done. In addition to appointments, this plugin is commonly used to book stays at hotels, resorts, or a bed and breakfast and that is the predominant feature of this plugin compared to other WordPress booking plugins because of its system design for days-long booking accommodation. Booking Calendar supports multiple languages so that you can accommodate website traffic that’s coming from other countries. The plugin is also compatible with third-party booking platforms such as Booking.com and TripAdvisor in order to make sure that your availability dates are always updated. Team Booking Plugin is a newly released WordPress plugin that definitely seems to be a promising product launched by CodeCanyon. This WordPress booking plugin also comes with a user-friendly interface that allows you to manage bookings and appointments. One of the striking features is that it links to Google Calendar and uses the tool to check the availability with it. You can set up the plugin by the following three simple steps. First, you create an event in Google Calendar. Second, with the creation of an event, a free slot opens on your site’s calendar. Finally, the event is updated instantly when someone makes booking. Additionally, you can arrange for payments with this WordPress booking appointment plugin as well as it is supported by PayPal and Stripe. 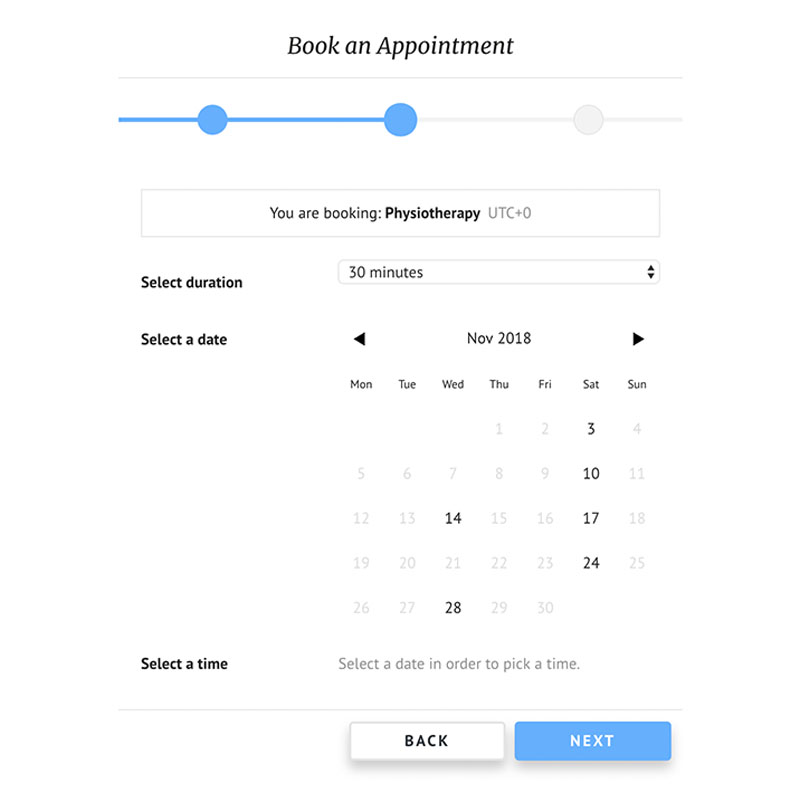 Booked is another popular WordPress appointment booking plugin that lets you create a modern looking and functional appointment booking calendars. It is simple and goes straight to the point with a stunning calendar that you can edit your website’s design. With this plugin, customers will find it easy to schedule appointments on your website with the support from a bunch of great add-ons like integrating payment options with WooCommerce, calendar integrations with Google Calendars, to name just a few. This WordPress booking appointment plugin is such a wonderful choice for beginners because you don’t need to worry about any custom coding. The interface is transparent and easy to navigate. 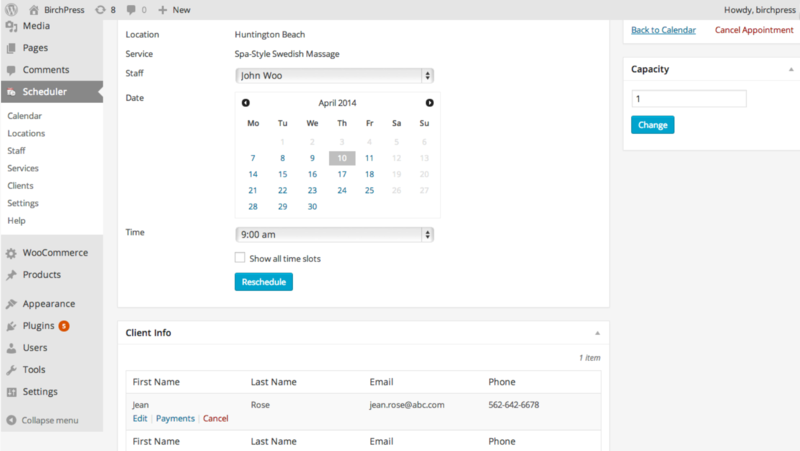 Plus, Booked gives you the option to manage calendars for multiple members of your staff. Let’s say that you own a hardware store, so customers can book with their preferred technician online with ease. The plugin provides a smooth UX and outstanding performance, so you definitely have no obstacles in dealing with setup and configuration. EDD Bookings is certainly another top WordPress booking appointment option to consider. In addition to booking standard services, this plugin is also helpful for those of you who provide rentals. If you are running a business that offers services on the beach like renting out bikes, skateboards or surfboards by the hour, this booking plugin is super useful for use to manage all of these via your website. Choose the appointment type or equipment type. You can manage all of your appointments in one place effortlessly through different calendar views. Specifically, they provide you with details for your day, week, and month. You can highlight your appointments with different colors as well keep track of different types of services. Do you want to add an online booking system on your WordPress site? BirchPress is one of the most popular, user-friendly WordPress appointment and booking plugins available on the market. This booking appointment plugin is another fantastic and powerful weapon for appointment bookings that allows you to create a booking calendar with different providers, services and locations. The plugin’s user interface is pretty minimalist and easy to get familiar with, making adding a service appointment booking facility to any WordPress site at ease. BirchPress also allows you to create online appointment forms on your WordPress site easily, so your visitors can check availability, book appointments, or make reservations online. It’s therefore an ideal scheduler plugin that lets your users to easily make appointments on your site without your direct engagement. The plugin also syncs and is compatible with your booking calendar with other calendar services you are already using like Google Calendar, iCal, iPhone, Android, or Outlook. You can, therefore, send notifications and reminders via email to your customers when the appointments are booked, rescheduled, or canceled. Overall, BirchPress Scheduler is a must-have and highly-recommended booking tool if you are looking for an effective WordPress appointment booking plugin that can deal with multiple locations, services, and members of staff. PinPoint Booking System is the last powerful WordPress booking plugin in today’s collection. This WordPress booking plugin is mainly focused on renting accommodation, but it is also suitable for booking appointments, scheduling events and other similar activities. The most noteworthy feature of this booking plugin is the ease of use, as well as the clean interface that is self-explanatory. Plus, what makes Pinpoint Booking System stand out is obvious in its name. Specifically, it allows you to share the specific location of the business on the Pinpoint website that will be useful for customers to reach that place with ease and comfortably. This is the reason why Pinpoint is appropriate for renting rather than for events such as renting villas, hotels, and other types of accommodation. However, this booking plugin can also be in harmony with doctors, lawyers, dentists, gyms, spas and other similar businesses. Another essential point of this plugin is its super easy booking process that makes your customers feel at ease when scheduling their appointment or making reservations. Interestingly, the WordPress booking appointment plugin also enables you to create promotions, coupons, and discounts that will drastically help bolster your business. Last but not least, this great booking plugin is wholly compatible and fully optimized for mobile devices no matter what the screen size of the devices. In this article, we have tried to present you 8 of outstanding WordPress booking appointment plugins. On the one hand, they are all similar in regard to easy-to-use system, well-designed UI or excellent booking appointment services, but on the other hand, some of them possess unique features that makes them stand out from the rest. 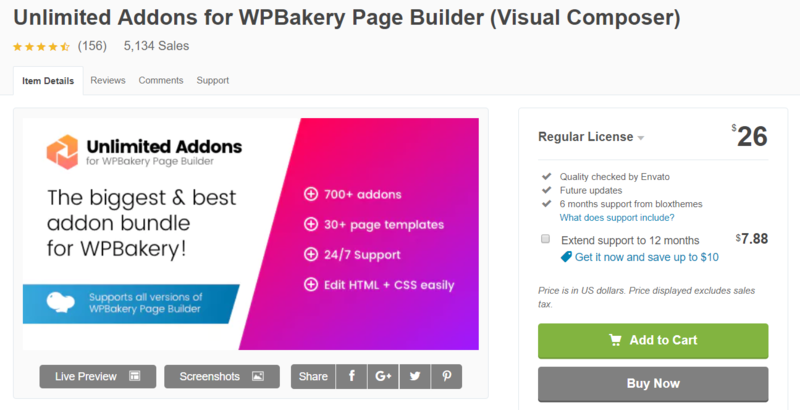 So it’s high time for you to need the support of WPBakery page builder. Restrict Content for WPBakery Page Builder is always the top priority when helping clients to choose a membership platform. When it comes to a fast and clean membership site, nothing is faster for end users than Restrict Content for WPBakery Page Builder. This page builder plugin makes it extremely easy to deliver premium contents or grant privileges to your subscribers or show specific contents to guest users. 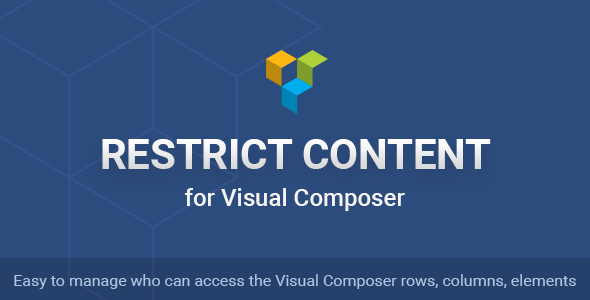 The primary benefit of this plugin is the ability to keep your exclusive contents to valued members and manage visibility throughout your pages, posts, modules and blocks easily with Visual Composer. Overall, Restrict Content for WPBakery Page Builder is a easy-to-use and user-friendly page builder plugin offering a lot of functionality that is highly beneficial for membership controlling. 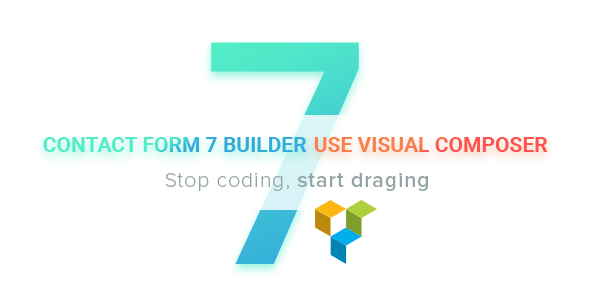 Are you using Contact Form 7 and getting tired of constantly making changes of your form’s style and columns? Now you can free yourself from this annoying coding difficulty. 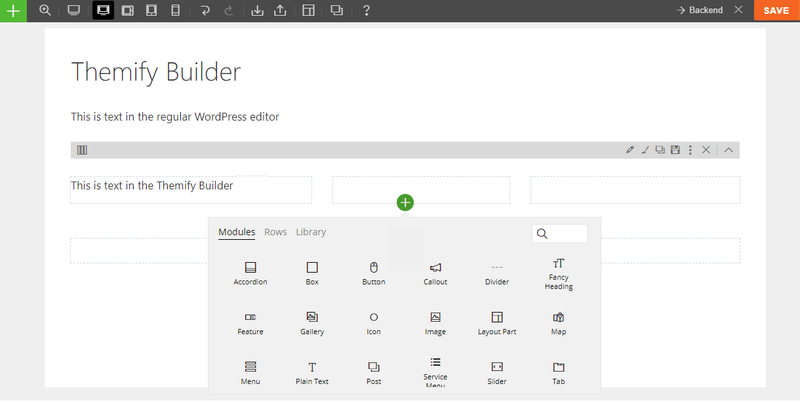 With Moana Builder, you can just drag and drop elements easily the way you’re doing with WPBakery Page Builder. Keep calm, try Moana, and enjoy yourself! This plugin allows you to build Contact Form 7 with ease by simply dragging and dropping fields into your contact form. It’s easy as pie. You can create the contact form like a bat out of hell and feel no more stress when your codes go wrong. Overall, it may be said that this extension is super duper handy and a missing piece to the perfection of Contact Form 7. 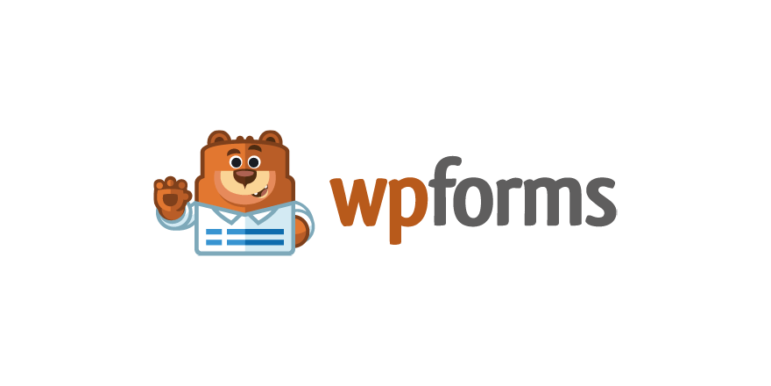 If you are familiar with WPBakery Page Builder and currently using Contact Form 7, this is the plugin you are looking for. Massive Addons is one of the most comprehensive packages for expanding the functionality of Visual Composer. It has been acquired reputation over the past two years. This all-in-one addon is equipped with numerous useful features that will definitely make web designer pleased. Massive Addons gives you rich customization with over 70 shortcodes and additions, 35 page templates, 1700 presets, 15 tutorial videos and a lot more to explore and use on your WordPress site. The user interface of this WPBakery addon is self-explanatory and easy to use by providing step-by-step setup wizard where you choose which components to install. Virtually all the features of each shortcode can be edited — from colors to animation effects. If you have no idea where to start on the design of a new project, then 35 page templates are exactly what you are looking for. These templates are easily edited in accordance with the theme of your site and help produce the idea from scratch. Overall, the quality of the design in combination with the easy-to-use interface makes Massive Addons the right choice when it comes to Visual Composer add-ons. The Ultimate Addons is one of the most high-rated and best-selling add-ons for Visual Composer with more than 40,000 sales to date. This addon works constantly to compete with competitors with about 20 updates since its first release that meets the needs of various designers. This add-on offers all vital elements to build up a totally functional and good-looking page. Every single element in the package is meticulously designed in terms of details for a simple purpose of giving you a good experience. An oldie but goodie, All In One Addons combines 64 different functions in one powerful tool that greatly extends WPBakery Page Builder. 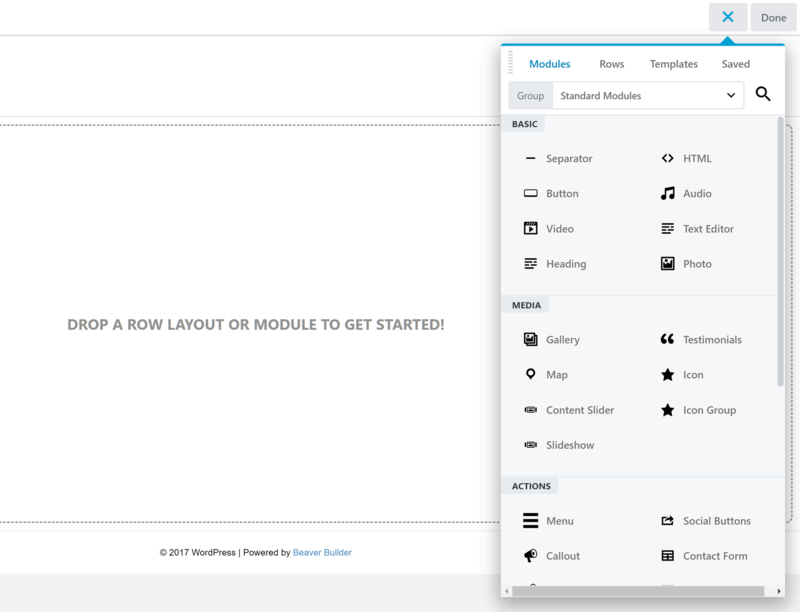 All the add-ons are in a simple design and extend WPBakery Page Builder with more function. 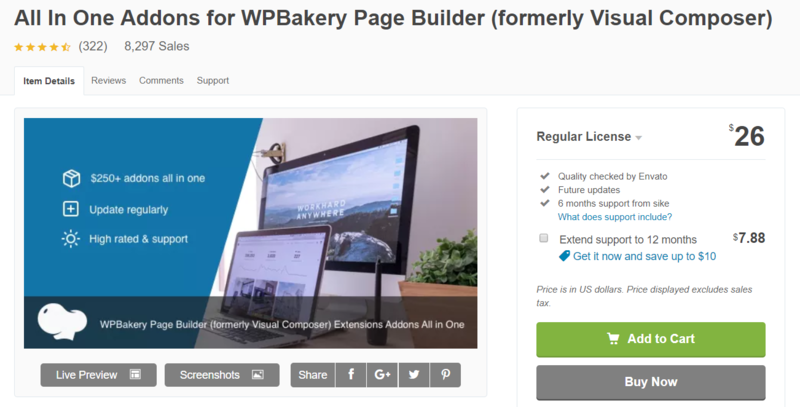 This bundle works fine with WPBakery Page Builder that installed as plugin. All In One Addons comes with over 250 WPBakery page builder addons, giving you plenty of design elements and the freedom to create the website easily. Unlimited Addons is gradually making its mark and increasing positive reviews for its quality and visual appearance! The plugin offers rich personalization with over 700 add-ons, 20 layouts and 30 templates that you can change the overall look the way you want. This is always a good approach if you are a newcomer. All addons are completely unique and designed individually to fit into your WPBakery Page Builder (Visual Composer) website. The addon is also built with different bundles in combination with various elements for your specific needs. Plus, Unlimited Addons include two powerful tools, Sliders and Headers, that really make it stand out from the crowd. Overall, Unlimited Addons is a great full featured plugin that will gain even more popularity in the future. Visual Composer KIT is a new kid on the block, publishing on the market in early April 2018. With over 40 beautifully designed elements and highly customized features, this all-in-one addon will definitely be the tough competitor at CodeCanyon in the upcoming months and years. Visual Composer KIT is a must-have WordPress page builder add-on to work efficiently with WPBakery Page Builder for WordPress. It can be seen as a powerful tool to help build an amazing WordPress website with the support of amazing features. With the easy-to-use interface, you do not need to worry much about web development because this add-on does not require much coding experience. Get ready for the highlight site with happy customers, our support team promises to accompany until meeting your expectation. Kaswara is a newcomer in the WPBakery market released in January last year with its easy-to-use, modern and elegant designs. Although this is a newly-released member, it’s now offering 45 elements and over 550 shortcode options and has become one of the most powerful and useful kit for WordPress site owners. Kaswara also provides a number of elements that you can find useful such as price boxes, contact forms, alert boxes or social icons, etc. All of these elements are displayed in different styles, and interestingly, you can make your own personalization by changing the appearance of any items through built-in visual editor. Another useful feature of this WPBakery page builder plugin is that it allows you to copy elements, shortcode or widget and paste it wherever you need. Plus, Kaswara offers numerous useful features for personalisation such as fonts or shortcodes. You will find unique editors for both of these important elements of your site. All of the plugins in the collection are very useful and inexpensive. They will serve you well and help expand your pages to a whole new level of creativity and user experience with cool animations, custom sliders, dynamically generated content, and much more. YouTube is unquestionably one of the most popular video platforms that attracts millions of viewer all over the globe. There is no denial that enjoying our favourite videos after another every time on YouTube is compelling. Plus, uploading of a single YouTube video in your web pages or posts is easy as shooting fish in a barrel. But you might make your site even more fascinating by displaying an entire YouTube video gallery. Now it’s high time for you to get help of YouTube WordPress plugins. With YouTube plugins, you can upload or embed various videos on your website from YouTube. In addition, these WordPress YouTube plugins also boost loading time and allow you to create amazing video gallery on your WordPress website. How can you pick the most suitable WordPress YouTube plugin to serve your purpose? Don’t trouble yourself! We’ve made this easier for you. In today’s article, we’ve rounded up a collection of 7 essential WordPress YouTube plugins that will make your life easier and less time-consuming in dealing with YouTube stuff. Do you want to display your YouTube videos on your website easier with gorgeous UI/UX in a matter of minutes? Thankfully there’s a reliable, effective plugin to take care of this for you. YouTube Gallery Pro developed by Ninja Team is born for you and might be your next secret weapon. 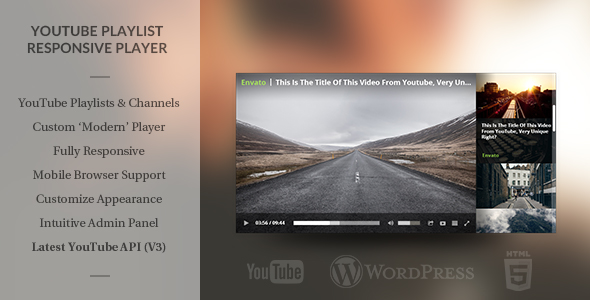 Youtube Gallery Pro for WordPress plugin allows you to put playlist, channel, user videos on your website and display it easily and amazing with Ajax or pop-up play. As we have said earlier, this YouTube plugin allows videos to open in a pop-up window, but there is also the option of redirecting to YouTube to view them. One more thing is that the plugin doesn’t display video description and account information, so viewers will have to go to Youtube to see it. If you are frequently working with YouTube videos, then this wonderful WordPress YouTube plugin could really improve how your website handles them. Another useful WordPress YouTube plugin that will help you make the process of embedding YouTube videos a whole lot easier is YouTube developed by EmbedPlus Team. This awesome WordPress YouTube plugin provides you an easy approach for creating YouTube gallery within your website in just a few clicks. The major advantage of this plugin is that you can insert YouTube playlists and channels into your posts. Another key benefit of this YouTube plugin is that you can also have various choices for controlling video playback and how the videos are added to your posts and pages including enabling auto-play, displaying related videos, choosing a color theme, and making the videos mobile-responsive. If you want to do more than just insert a single YouTube video into your posts and pages, then using a YouTube plugin like YouTube Embed Plus provides you with additional options for how videos are displayed. Also, there’s a premium version available which offers further advanced features including user analytics and deleted video notifications. Yottie is one of the most trending YouTube WordPress plugins in the market because it is specially designed for those who want to use YouTube videos on WordPress sites or blogs in a superb performance and best user experience with rich customization. This plugin provides you with the most flexible, adjustable and customizable video elements you have ever worked with. This wonderful YouTube plugin also allows you to show videos not only in YouTube window, but in popups and directly in your WordPress gallery and this will increase the number of your subscribers. Now it’s time for you to build your YouTube gallery on the WordPress site, using a simple visual editor, video grids to maximize the user experience of all visitors on your site. The next awesome YouTube plugin is allow you to play YouTube playlist on your WordPress site and it is completely responsive and will resize intelligently on any screen sizes. You can also personalize the look and feel of your gallery and display them in different modes. For example, you can show or hide display fields according to your requirement. 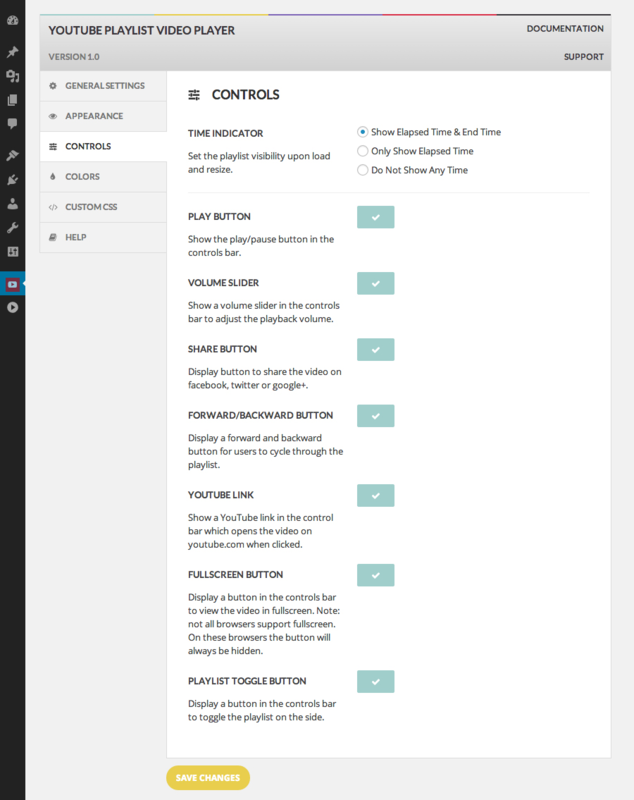 Plus, the WordPress YouTube plugin comes up with various options in its admin panel. You can change its appearance as this plugin has a different interesting interface than default YouTube interface. It also runs smoothly on most mobile platforms such as Android, iOS or Windows Phone. The next great YouTube plugin is a very simple and easy to use WordPress YouTube plugin. YouTubeR WordPress Plugin allows you to insert videos on YouTube from your website and easily embed videos playlists and Youtube channels on your site. Plus, this YouTube plugin lets you create multiple WordPress video galleries and allows you to customize them with more than 5 awesome in-built video templates. One more thing you need to consider is this plugin gets data from YouTube which will slow down the speed of website. If all you need is a simple solution for creating a gallery of YouTube videos on your website, this free plugin is a good one to look at. YouTube Showcase is a super duper handy WordPress YouTube plugin that helps you display YouTube videos in a gallery or grid view on your site. Especially it is designed for simplicity. 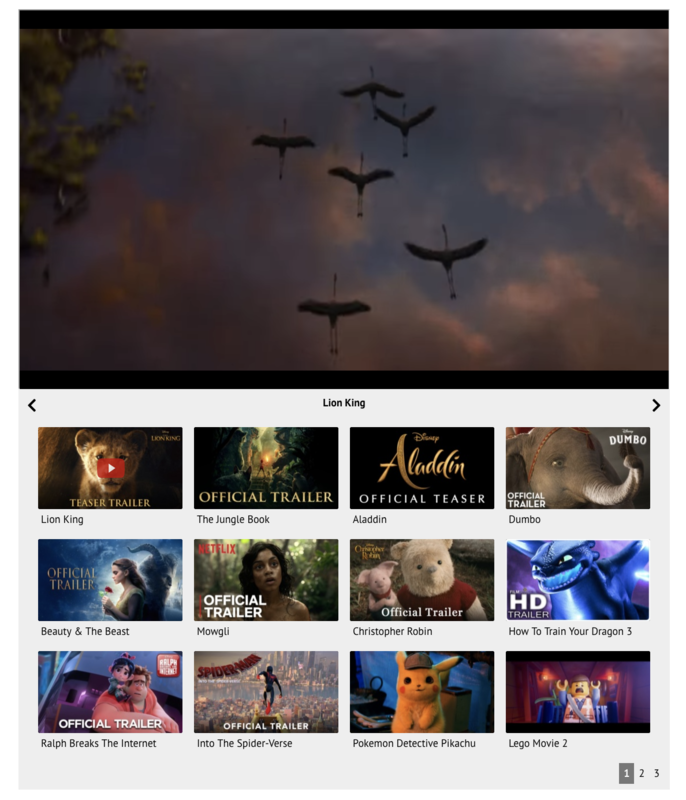 Also, you can build a video grid gallery where the videos are shown in a four-column grid layout. This plugin is great for the purpose of displaying multiple related videos such as an online course, how-to video series and product demo and application videos. uTubeVideo Gallery plugin is a feature rich video gallery plugin for WordPress. It allows you to create multiple galleries and add them to WordPress post and pages. This wonderful WordPress YouTube plugin automatically fetches thumbnails for your videos and caches them on your WordPress site resulting in faster page load. The best part is that you can create multiple galleries with different videos. This allows you to divide your videos into categories, topics, or channels. If you are looking for the best YouTube WordPress plugins, then this collection of the 7 vital YouTube WordPress plugins might be helpful for you. Just take a minute to choose the right plugin for you. And we’re sure that going with one of the abovementioned YouTube WordPress plugins seems a great deal! 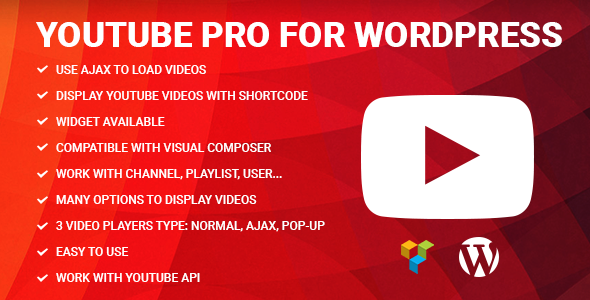 Have you already tried one of the WordPress YouTube plugins in the list? Feel free to let us know in the comment section below. We’re looking forward to your feedback!